With a stylish high bridge, these Flexon 609 glasses will help add a touch of style while defining your best features. Full-rimmed eyeglasses are a hot favorite among the youth. These thicker Flexon 609 frames allow you to experiment more with color and style while fully protecting your lenses. These artsy vintage-inspired oval frames will surely flatter. If dapper is your look, be sure to snap up a pair of oval glasses. With an ever-so-subtle angular shape, these oval glasses suit almost any face shape and any style. It doesn't matter if you're a literature addict or a rock n roll guitarist, this is one Flexon 609 eyewear trend almost anyone can pull off - there's only one thing you need, and that's the courage! 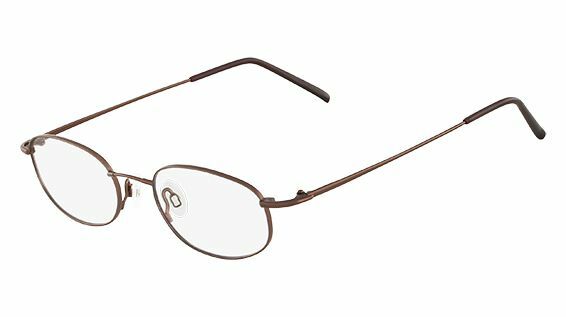 These popular high temple Flexon 609 glasses have been carefully designed to assist you in getting optimal unobstructed vision. I bought these frames 2 1/2 years ago, they are the most comfortable and lightweight frames I have ever had. I have the shiny brown .Worth the $$ !! !